Ride longer and faster while staying connected is the mantra for Garmin's new Edge 1030 Bike Computer which includes a host of updates such as a larger, higher-resolution touchscreen display, longer battery life, ability to race Strava live segments, and trendline popularity routing for finding rides while in new areas. Rider-to-rider messaging lets you send prewritten notes from your Edge 1030 to other rider's Edge devices so you can let them know if you'll be catching up or if they should go on. Preloaded Garmin Cycle Maps, Garmin Varia radar compatibility, live tracking and several other features ensure that the Garmin Edge 1030 is king of the hill in the cycling computer world. For the new screen, Garmin increases its diagonal size from 3.0in on the 1000 to 3.5in on the new 1030, as well as improved graphics and an intuitive user interface. The included in-line flush mount keeps the device in-line with your bar, giving it a lower profile and the ability to add optional accessories such as the Garmin Charge power pack, for extra battery life, or any of the Varia line of cycling awareness smart devices which help to create a safer riding environment. 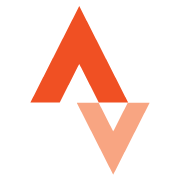 Two of our favorite new features are the Strava Routes and TrainingPeaks Ciq Apps. The Strava integration automatically syncs starred routes to your 1030 so you can navigate and compete on your favorite segments in real time. With TrainingPeaks, you practically bring your coach on every ride since you can view your daily workout right on the 1030. The Edge 1030 supports gearing information directly from Shimano's Di2 drivetrains by communicating with Shimano's D-Fly Data Management function so gearing and battery level data is sent directly to the unit. The 1030 also works seamlessly with Bluetooth so while sport device paring and communication is still handled by ANT+ (i.e. speed and cadence sensors, HRMs, or power meters, etc. ), Bluetooth technology still communicates with your Android or i0S smartphone. Garmin lets you to customize the 1030 through the connect IQ store with free apps, widgets, and data fields. Apps such as AccuWeather can be downloaded so you're able to receive real-time weather conditions, forecasts, and alerts while your phone stays protected. And if you do get caught out in the rain, Garmin designed the screen to operate seamlessly with gloved hands even in wet weather and the 1030 is completely waterproof. With the Garmin Connect Mobile App, concise, easy-to-understand charts, graphs, and maps let you view activities, track progress towards goals, and wirelessly upload and share data directly with the Garmin Connect network. This almost eliminates the need to access Garmin Connect from a home computer, perfect for those of us on the go. Smart Connectivity allows you to respond to missed phone calls or texts with prewritten messages to friends and family. Adding to the safety features is the 1030's Live Tracking. This can give friends, family, and other riders peace of mind by letting them follow your rides in real time. All you have to do is invite them to follow you on Garmin Connect, and you'll be able to send email notifications reminding them to follow your real-time activity, stats, data, and location while you're on the bike. You also have the option to share this information via Facebook or Twitter. With Trendline Popularity Routing, you have access to billions of miles of Garmin Connect ride data to show you the best on- and off-road routes traveled by cyclists. Once you find one to your liking, simply select the ride, and then the route is uploaded to the unit with full GPS navigation capabilities. And whether you're on a designated route, or simply going wherever the road takes you, the map feature permits you to view the area in either topographical or detailed street views. No more getting lost. The preloaded maps include turn-by-turn navigation and new navigation alerts that notify you of upcoming sharp turns. The Edge 1030's rechargeable lithium-ion battery's life has extended to around 20 hours. If that's not enough. You can add up to 24 more with the optional extended battery pack. The Garmin Edge 1030 Bike Computer is come in black and white and includes an extender out-front mount, standard mount, USB cable, tether and a user manual. 2.3" x 4.5" x 0.8"
During a ride, does it give you the option to display the time of day? My other Garmin shows the time on the top right of thw screen when I turn it on but when I start my ride it disappears. It is a feature I am looking for since I often tide before work or other events. Have an answer for Jose Diaz? Hi Jose, Yes you can have the current time displayed on the screen. There are a multitude of different options that you can have displayed while riding. PROBLEM - 1000 has buttons on the top surface - this has buttons on the bottom edge, so very little space between handlebars and the buttons. Actually no space with most of my 1000 mounts (so this is unusable with them) and a little space with the 1031 mount. Have not yet tried but I expect impossible to hit the buttons with winter gloves. Ridiculously bad design. Garmin 1030 - Don't buy it yet! I currently own the Garmin 520 and it works great however as I get older, it's getting more difficult to see. So, thought I'd buy the Garmin 1030 despite some of the bad reviews. Well guess what, it's still buggy and after spending hours getting it set up correctly and trying to download all the updates, I thought I had it perfect. Nope!!!!! The unit keeps dropping the connection to my iPhone and my 520 shows speed and distance based on the GPS. The 1030 doesn't!!!! Then when I returned home and ran the summary, the units were all messed up as well. Garmin, you shouldn't need to be a computer scientist to run your bike computers!!!!!! I have owned Garmins for a long time, including 520, 820, and a 1000, and previously found their support very helpful on the few occasions I needed it. However, recently I purchased the 1030 which is a good unit, much improved over the 1000, except that my 1030 began to not connect with my Garmin (ant) speed/cadence sensor and my Wahoo (ant and Bluetooth) heart rate sensor. I called Garmin and they suggested changing both sensor batteries which I did. Both sensors continued to only sporadically connect with the 1030 but both sensors connected with the 1000 perfectly. I called Garmin again and they told me that since my hearth rate sensor was not Garmin, they would not address that problem. Additionally, since my Garmin speed and cadence sensor was not the latest model, they would not address that problem either. That both sensors connected perfectly with my Garmin 1000 was not relevant according to them. I have multiple bicycles and also have multiple sensors. All the sensors work with my Garmin 1000 and Stages computers but not the Garmin 1030. In my mind, being required to buy new Garmin heart rate and speed/cadence sensors before Garmin would address my 1030 problem was an unacceptably expensive run around. I called Competitive Cyclist and they immediately refunded my 1030 money. My learning is buy a cycling computer from Competitive Cyclist that supports and works with all sensor brands (appropriately ant/Bluetooth) and be wary of Garmin support which is no longer reliable. Fantastic! Buy a remote too. I love the Edge1030. I upgraded from a 1000 and it is better in all ways but one -- it simply doesn't work with heavy gloves, no matter how you adjust the sensitivity. I get around this with a remote. It is possible this is a firmware issue that can be fixed, but I suspect this is a limitation of the (otherwise brilliant) display. I like many of the new features, including sharp turn warnings and live Strava segments that compare you to your most recent best, your personal best, and if you're going really slow, your last time. Of course if you are above the pace for your personal best, it shows your friends and, if you're faster than all of them, it shows the KOM. I get to see that I'm a whole 55 minutes slower up Mt. Hamilton than Phil Gaimon. Considering my bike weighs almost 3x as much as his and that he's 29 years my junior, I think I'm doing pretty well. It's probably been over 10 years since I've upgraded my bike computer. For the past 10 years I've been riding with a Garmin Edge 705. (Disclaimer: I am a Garmin fiend. I've rarely tried other brands for GPS and I have multiple products from them). The Edge 705 performed like a champ but only recently started showing signs of slowing up on me. So I pulled the trigger and bought the new 1030. I have to say, I am very happy with it so far. First off, I really like that you can put something like 10 data screens on a single page. I am not a huge fan of swiping left or right to get to another data screen while I am riding. I can get all my data on one screen for the entire ride. Second, I love how bright and colorful the new screen is, and how big it is as well. Much easier to read while riding. Third, Garmin is really upping its game with all the new products with their compatibility with Training Peaks and Strava as well as tracking power meters, thresholds and training recovery periods. I have had a few problems with the phone disconnecting from its pairing with my phone such that after a ride it doesn't just automatically download my ride. I've had to re-pair the 1030 a number of times. I am thinking though that this is more likely due to some IOS upgrades on my iPhone. Would highly recommend this bike computer if you are logging heavy miles each week and like to have the latest bells and whistles.